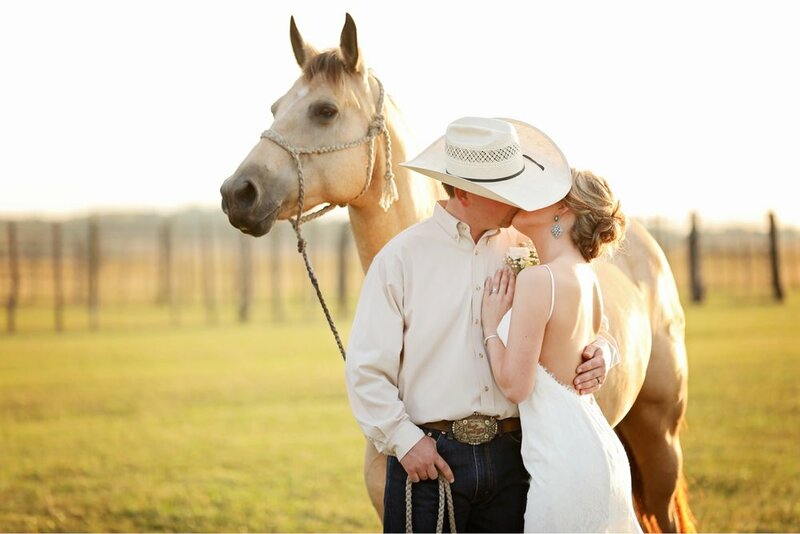 Brittany + Luke had absolutely the most picture perfect wedding. 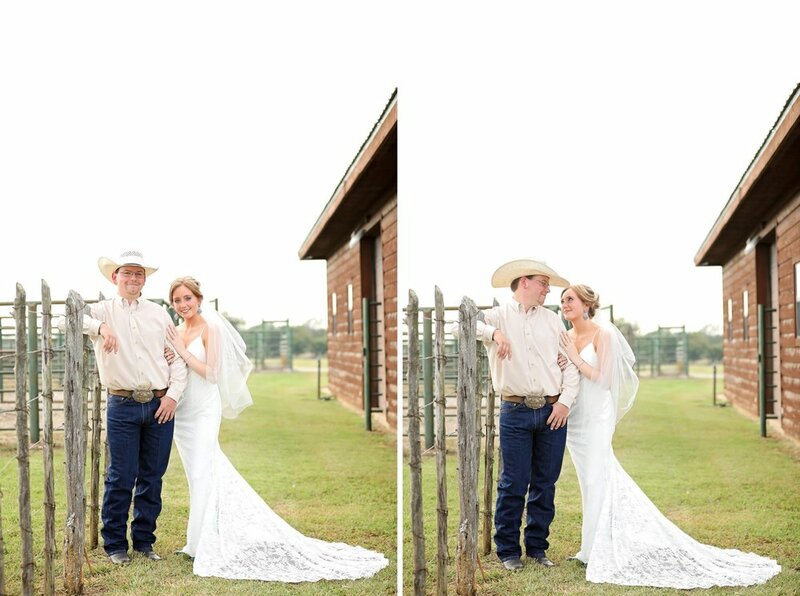 September 29, 2018 they married on Buford Ranches in Welch, Oklahoma with the most gorgeous backdrop and their reception taking place in the ranch sale barn. 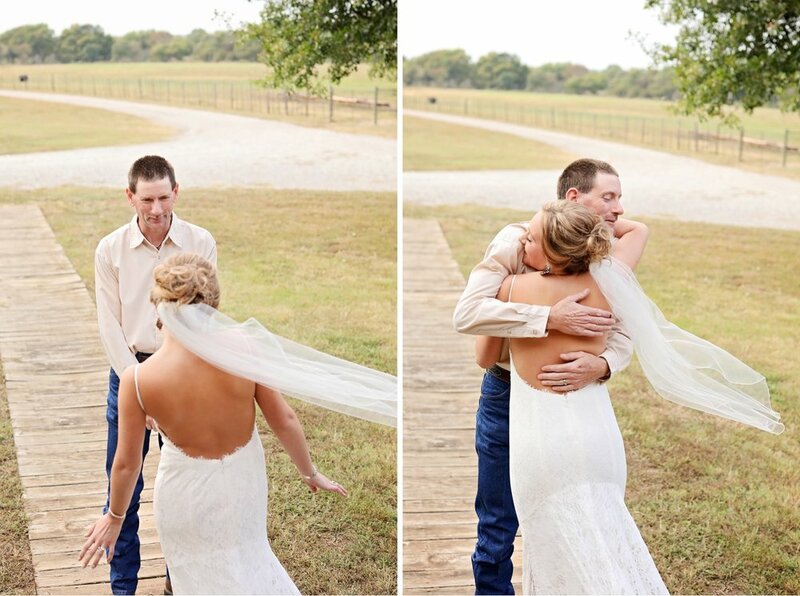 Brittany walked down the aisle to “Oklahoma Sky” by Miranda Lambert with her daddy on her side. Brittany's mother + Luke's father have both left this Earth too soon but they made sure to have photos of them and give them both a moment during the ceremony. 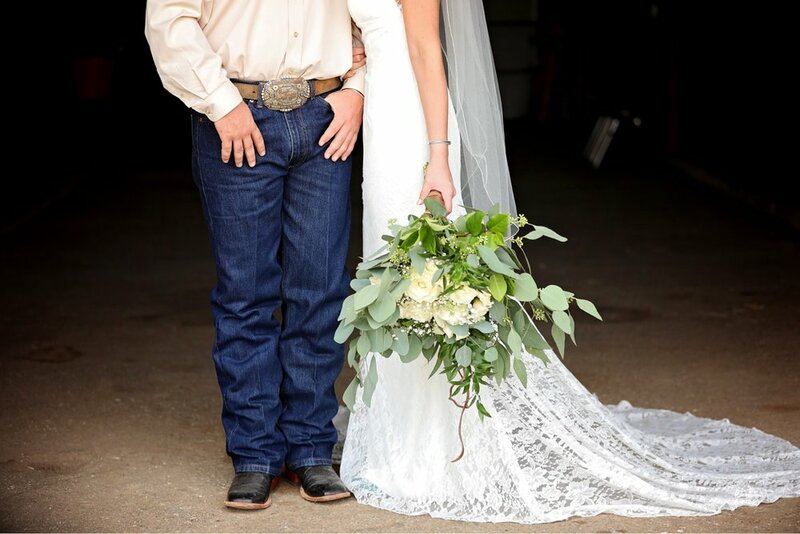 Brittany’s dress was absolutely stunning and her turquoise Nacona boots brought the look together. Luke gifted her with a gorgeous Turquoise & Co bracelet and she gifted Luke with a custom brand bracelet by Lance Dixon Buckles and Spurs. 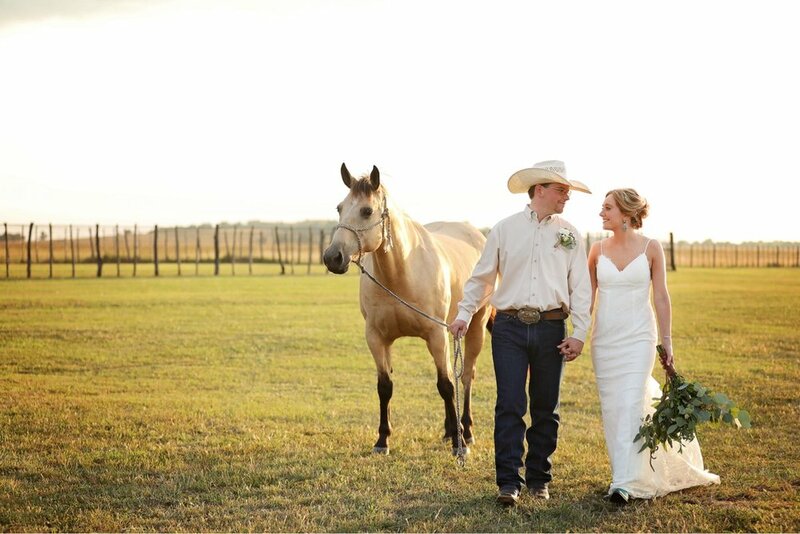 The sunset photos following the ceremony were epic + Luke's horse, Spirit definitely added some spark to their photos!